Daniel 9:27 the Lord shows us the future concerning the third Temple that will no doubt be rebuilt during the beginning of the 7 year tribulation. What we see is that the Antichrist in three and a half years into the tribulation, he will go into this rebuilt Temple and stop the Jews from doing their sacrifices as they did in times past. 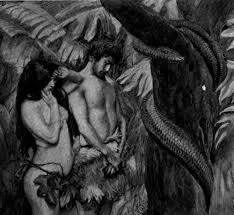 This is what the Lord said, “And he shall confirm the covenant with many for one week: and in the midst of the week he shall cause the sacrifice and the oblation to cease, and for the overspreading of abominations he shall make it desolate, even until the consummation, and that determined shall be poured upon the desolate" . Anyone who has been coming to my site or have seen my Youtube videos on this subject has seen me warn you you will see the Jews begin to practice for these animal sacrifices. In 2012 that warning came to pass. Now in 2013 it has happened again. The Temple Mount leaders just did another sacrifice. You will see two videos below. The first one is the video from 2012 and the next one is from this week! Do these events show us anything? You better believe it! It shows that what God said is about to come to pass in its entireity. May the Lord open your eyes to these events because this is a major warning to the world that the tribualtion is rushing toward us a lightening speed. Do you believe it? Have you received Jesus Christ as your Savior yet? What are you waiting for? Are you waiting for the Antichrist to confront you before you believe what Christ and the prophets warned us? 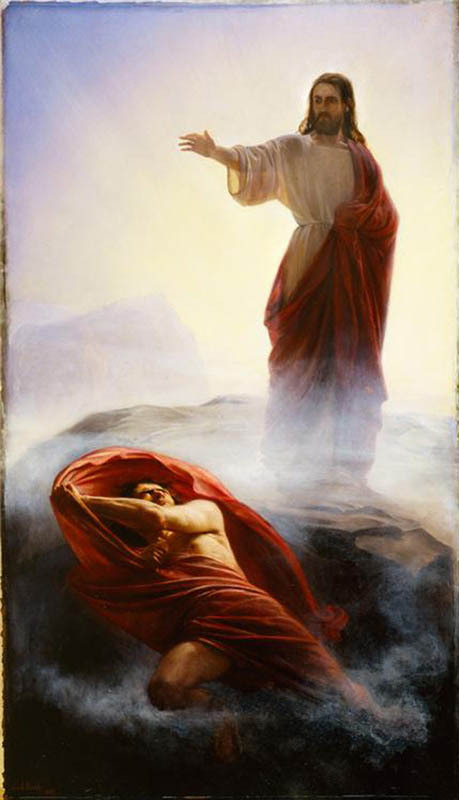 The Holy Spirit is not only reaching out to the lost, He is reaching out to a sleeping Chruch as well! I beg you, that's right, I beg you to consider what you have seen here and turn to Christ now, please. Our Lord gave us specific warning of what not to do to Israel. In the three scriptures above it was made clear to us that anyone who comes against Israel will be destroyed! Any nation who comes against the Jews will be cursed and part of the curse come via natural disasters such as flooding, droughts, earthquakes or pestilences of one form or another. In my book I show you what has happened to leaders who come against Israel or for that matter work to divide up the land of Israel in order to give the PLO their own State. Last week in my posts I asked you to watch and see what happens as Obama goes to Israel to work out details to bring a Middle East peace by dividing up the land of Israel. We have already seen some strange things begin to happen with Obama. So far Obama's Limo died out on him and now His helicopter was also shut down! A limo shipped from Washington, D.C. to taxi President Obama around Israel failed and had to be towed in Jerusalem. The president hadn’t yet arrived in the country when the malfunction occurred. He arrived in Tel Aviv Tuesday. President Barack Obama’s helicopter was grounded in Israel on Friday after a bout of strong winds blowing dust. Israeli police told Reuters that Obama was forced to make the journey between Jerusalem to Bethlehem via motorcade instead of by helicopter. The route will go through Israel’s barrier with the West Bank, according to security sources. Something to the law of averages, coincidences are rare and random events that occur in nature. We have already had far too many supposed "coincidences" for this event to have been one. It was definitely not a coincidence. When a person starts kicking up dust and knocking things over it is a pretty good sign that he is very, very, very mad about something. As our President was getting ready to leave Israel a huge dust storm came up that knocked over the tent for his farewell ceremony, apparently grounded air traffic, and even uprooted an olive tree. Of course, the olive tree is symbolic here. In the Bible the olive tree is the symbol of Israel and it is also a symbol of peace. I am not a physic and I am not a prophet, but I would be willing to make an educated guess here that God is not pleased with the message that Obama brought to Netanyhu, and He is not pleased with the message that Obama brought to the people of Israel. I believe God used nature to send Obama a message: GET THE HELL OUT OF MY CITY (JERUSALEM) AND MY NATION (ISRAEL). Also on the day Obama begins to talk about dividing up Israel we saw a huge storm with huge hailstones pour down on Jackson Mississippi. We saw another sink hole and more talk about the collapse of the US economy. What's next? March 21, 2013 Hail as big as baseballs pounded some spots in Jackson Mississippi and its suburbs. Hundreds of Americans tries to get relief from Insurers. Romans 8:22-23 22We know that the whole creation has been groaning as in the pains of childbirth right up to the present time. 23Not only so, but we ourselves, who have the firstfruits of the Spirit, groan inwardly as we wait eagerly for our adoption to sonship, the redemption of our bodies. You may want to Google Lindsey Williams. Pastor Williams was told my the eleit that when you see the EU go down you will only have two weeks to get your money out of the banks in the US. Here is one link that will show you Pastor Williams warning. Lindsey Williams (lindseywilliams101.blogspot.com) – Radio Liberty 16 May 2012 : Get out of paper assets immediately , close your bank account if you do not want to lose it all , buy tangible assets gold silver farmland , Banks runs happening all over Europe , the sign to look for is the crack that will happen in the derivatives market which started with JP Morgan’s 2 billion dollars loss , the Dollar will be dead by the end of this year no matter how good things look like right now , .Derivatives Market Collapse Coming Soon!The Economy is about to collapse due to the derivatives market. The US Dollar will collapse by the end of 2012 and Obama may not win the coming election. Lindsey reveals his latest DVD series “Secrets Of The Elite” which includes interviews with 4 top elite financiers, on the economy gold and silver. Knowing what Williams has been warning you may want to read what is taking place right now in Cyprus! Is the Obama Administration getting ready for the economic collapse as a result of the EU economic crisis? Despite the current stock market rally, legendary investor Jim Rogers say the U.S economy is poised for a major crash and is warning investors to protect themselves immediately.In a riveting interview on Fox Business, Rogers warned Americans not to trust any of the positive economic news coming from world governments. "I don't trust the data from any government, including the U.S., Rogers said. "We know that governments lie to us. Everybody's printing money, but it cannot go on. This is all artificial." Rogers, who for years has been an outspoken critic of the Feds policies of "Quantitative Easing" says all the money printing is creating false hope that we are in the middle of some kind of super bull market. Europeans are catching on. You've got money printing going on everywhere and that has never been good for anybody," Rogers said. Currently, Bernanke and company at the U.S. Fed is buying $1 trillion of Treasury and housing agency bonds each year. That's about $85 billion per month against a budget deficit that is about the same level. Worse than even Roger predicts, according to a new investigation. In a newly released documentary that went viral last month, a team of influential economic experts say they have discovered a "frightening pattern" they believe points to a massive economic catastrophe unlike anything ever seen before. Makes you wonder if this is the real reason why the US Government has bought over a billion bullets! Is the government getting ready for uncontrolled chaos? One of my contacts in Israel had this to say. I do not want to cry wolf so I am not certain if this will happen or when BUT pay heed to what the man says and pray about it and do what you have to do. I just received this from a friend. I do not know anything about this or the source but I can tell you this - what is happening in Europe will come here. When Europe falls - they are our biggest customer - we will go down with them. What good is it to manufacture if no one (Europe) has the money to buy what you manufacture? I am personally beginning to make serious decisions as to my banking account and to my trading account in preparation for what I think is coming. I do not know when it is going to all hit the fan but I think it will not be pretty. When the government can confiscate 10 - 20 - 30 - 50 percent of all banking accounts legally and the same for savings accounts and brokerage accounts and pension accounts - we are in real trouble folks. I do not know just when this will all take place but I feel that it could come short on the heels of what they are doing in Europe right now. Watch what they do in Cyprus. This is a trial balloon, there, just to see if they can get away with it and what the backlash will be. No wonder DHS here is buying all those bullets and guns and vehicles. They have an idea what the American people are going to try and do when the hammer falls. They are getting prepared. Are we? If all goes as I expect - I see martial law in our future this year possibly. I do not know how quickly this will move so I have no time table - just a plan. Pray about this long and hard before you make any decisions and when you have your answer - MOVE. Just received a call from a highly agitated bank manager who stated that within 60 days, banks will be greatly reducing their hours, days of operation, amount of withdrawals and a requirement to fill out "paperwork" if the amount is questioned by bank officials. Unless the form is completed, money will not be disbursed. What really irritated this manager is that after hearing our statements on the air, and receiving years of assurance that our positions and contacts were so much bravo sierra (BS), now he hears from corporate people that it is apparently true after all. He said, "screw them, grab the money while you can." The parameters given were banks open two days a week for four to five hours with below minimum staffs, increased security and greatly reduced amounts of actual cash in the vault. Amount of withdrawal will be held to $500-2000 per day per customer account--not customer. So my account could only have either my wife or I withdraw, not both. That level could change at ANY time. There is no plan (at least known) for automatic confiscation from accounts--yet, and he said that the banks hold the "ownership" authority and final disposition of any items found in safety deposit boxes. (surprise, surprise!) Withholding mortgage payments could result in expedited (30) day foreclosures and 15 day Sheriff's locks on your front door. The Federal Reserve could and will initiate other more draconian restrictions on all aspects of "private" banking and access to any property held by banks. It could include forfeiture of your primary (paid for) residence if your summer cottage has a mortgage and you fail to pony up to keeping it current or any forthcoming restrictions on your accounts. Keep in mind I have a new web site that will soon house all the news. Go to www.endtimesresearchministry.com and subscribe today for the daily prophecy up-dates. We know war is coming. We know this because Israel is one of the last major strong holds for Democracy in the world and the Muslims want to remove Israel in order to take a firm hold of the Middle East. Of course Islam has its sites on America as well. You really should read the report below from Fox News and watch the videos concerning in Muslim in roads in America. The world is going to be changing soon and the war between Islam and the free world will be at the fore front of the wars. Watch video at this report: Fox News Showcases Emerson's New Documentary "Jihad in America: The Grand Deception"
cold and fog. I ride bike in that great cold. That was very difficult journey. there. I need your prayers. Download The Last Chronicles of Planet Earth Sept., 2009 Edition: The file may take about 20-30 seconds to appear, but it will come up. As long as I am informing you of things that will happen from the book of Revelation you need to see what Jesus warned about the Antichrist marking everyone with his ID, which will be placed in the right hand or in the forehand. You can find this warning in Revelation 13:16-17. September 8, 2009 -- VeriChip Corporation (NASDAQ: CHIP) ("VeriChip"), a provider of radio frequency identification (RFID) systems for healthcare and patient-related needs, and Steel Vault Corporation (OTCBB: SVUL) ("Steel Vault"), a premier provider of identity security products and services, announced today that VeriChip has agreed to acquire Steel Vault and form PositiveID Corporation to offer identification tools and technologies for consumers and businesses. In conjunction with the merger, VeriChip plans to change its name to PositiveID and continue to trade on the NASDAQ. PositiveID intends to change its ticker symbol to "PSID" upon closing of the transaction. The formation of PositiveID represents the convergence of a pioneer in personal health records, VeriChip, with a leader in the identity security space, Steel Vault, focused on access and security of a consumer's critical data. The companies believe that joining personal health records and identity security solutions provides a solid foundation for organic growth and a strong, flexible platform for future offers.” Some of you who are new to prophecy or new to my site may not know that the VeriChip is technology that is placed in your skin. This technology has the ability to keep track of you where ever you go, and now this VeriChip is going to be used as positive proof of your ID. Think about this? 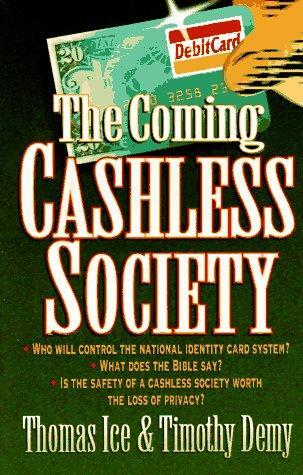 Jesus said the Antichrist would not allow you to buy anything or sell anything unless you took his ID Mark which is going to be put in your hand or forehead. This technology is going to be able to do the very thing Jesus warned us about. Not only can it keep tract of you but it will now be able to monitor your health. Sounds good but at the end of the day the Antichrist can use this technology to fulfilled his orders. This type of ID in the hand is not a coincidence. It is not by chance that we are seeing this take place at the same time that the revived Roman Empire has shown up, and it is no coincidence that this ID is used in the hands. All these things were warned to us by Christ and they are all showing up in this generation. Here is more information on this VeriChip. “VeriChip Corporation and RECEPTORS LLC to Develop Sensor Systems to Detect Biological Threats Such as Swine Flu and other Illnesses Companies to publish whitepaper, “An Integrated Sensor System for the Detection of Bio-Threats from Pandemics to Emerging Diseases to Bio-Terrorism,” available May 7, 2009, at www.verichipcorp.com“ Is it possible that the government can force people to use this in the skin ID to make sure you are not getting sick? The way things are going, it is a very good possibility that they will try to do this at some point under the guidelines that it is good for security and the protection from harmful events. DELRAY BEACH, FL, and CHASKA, MN – May 6, 2009 – VeriChip Corporation (“VeriChip”) (NASDAQ: CHIP) and its development partner RECEPTORS LLC, a technology company whose AFFINITY by DESIGN™ chemistry platform can be applied to the development of selective binding products, today announced plans to develop surveillance and point-of-care sensor systems that will efficiently detect and identify the presence of a particular biological threat such as influenza virus, Methicillin-resistant Staphylococcus aureus (MRSA) or other illnesses. The companies will publish a white paperoutlining the development of “An Integrated Sensor System for the Detection of Bio-Threats from Pandemics to Emerging Diseases to Bio-Terrorism,” which will be available May 7, 2009, on VeriChip’s website at www.verichipcorp.com.” This new technology is the perfect way to control everyone, and it is a perfect way to keep track of everyone. When you read the book of Revelation you find out this is exactly what the Antichrist is going to try to do. It was impossible for this prophecy to be fulfilled 50 years ago, but Daniel told us in Daniel 12: 4 that this was the chosen generation that would be known as the generation that would increase in knowledge. This is our generation and they have come up with technology which can be used on everyone soon. More news about the in the skin technology shows us that these RFID microchip implants can now be able to help people with diabetic problems. I quote, “Digital Angel Corporation received patent approval for its syringe-implantable glucose-sensing RFID microchip, next is FDA approval. The RFID microchip measures the glucose concentration levels of diabetic patients. The syringe-implantable bio-sensor chip has a passive transponder, glucose sensor and integrated circuitry that allow anyone implanted with the microchip to painlessly scan it to determine their level of glucose concentration. The RFID microchip quickly and accurately transmits the glucose data back to a wireless scanner that displays the glucose level. 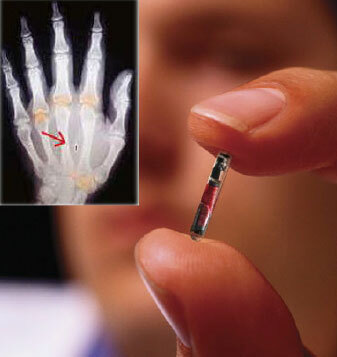 The RFID microchip is powered by the scanner signal, avoiding the need for a battery in the microchip. More Info.” Every one of these uses for the microchip in the skin seems like it is a positive thing. However, what we are witnessing are the stepping stones for the Antichrist to be able to force his will. 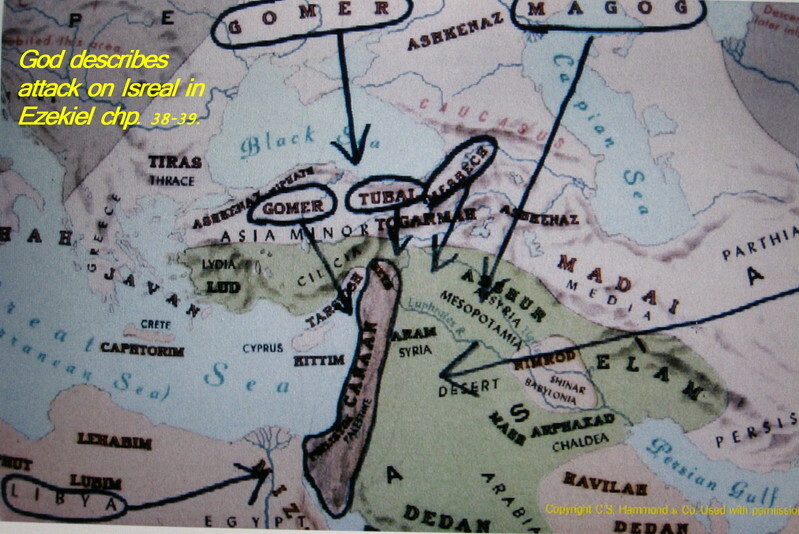 Prophecy Sign: In the book of Daniel chapters 2 and 7 we see one more world empire that will try to rule the world. This last days empire we are told is going to be a revived Roman Empire. Jesus shows us that it is the Antichrist who will rule over this empire and he will make sure that unless you have his ID mark you will not be able to buy anything, nor will you be able to sell anything. For a long time I have been giving you proof that America is declining as a superpower. Part of the reason the U.S. is dying off as a major player of the last days is because she has to give way to the next empire that will rule the world. Since Jesus placed me in this ministry in 1977 I have been warning everyone that you are going to see a new currency. We had to expect a worldwide currency because Jesus told us the Antichrist would control the economy. Part of the reason why America is falling away as a power is to give birth to this new one world currency. Last year I warned you that you were going to see and hear more news about the rise of a new one world currency. Take a look at what was reported today. “In a radical report, the UN Conference on Trade and Development (UNCTAD) has said the system of currencies and capital rules which binds the world economy is not working properly, and was largely responsible for the financial and economic crises. It added that the present system, under which the dollar acts as the world’s reserve currency, should be subject to a wholesale reconsideration. Although a number of countries, including China and Russia, have suggested replacing the dollar as the world's reserve currency, the UNCTAD report is the first time a major multinational institution has posited such a suggestion.” If you read the entire report you will notice that the leaders want to hand econmic powers over to a world bank. This world bank would control what happens with the world economy. The report even states that, “The proposals, included in UNCTAD's annual Trade and Development Report , amount to the most radical suggestions for redesigning the global monetary system.” Anyone who has studied the Word of God should not be surprised at this news. Fact is I have been waiting for these things to take place for a long time and they have finally begun to take shape. What you are seeing take place are the footsteps that are leading this world right to the point where one man will control the economy. When America falls the shock of her fall is going to hit hard around the world. Her fall is going to cause global panic and when that happens a new system will be put in place. It is this new system that at the end of the day will be controlled by the Antichrist. At the present time one of the strongest currencies on the planet is the EURO, which is the currency of the European Union. Since Jesus warned us the Antichrist is going to rise up from the reborn Roman Empire we should be watching the EURO because this may be the currency that will be used as a one world currency. As you can see from the information this morning the Euro is killing the U.S. dollar. Many of you may not understand what this conversion rate means so let me make it clear for you. If you live in America and travel to Europe. Your dollar is going to be worth less than half of what the EURO is worth. That means you are going to have to bring twice the amount of dollars to match the Euro. This about what is happening for a moment. Jesus warned us almost 2,000 years ago that the Roman Empire would return and it has via in part as the European Union. At the same time that this EU is getting stronger their currency has over taken the mighty dollar which has been around for 230 years. The EURO has only been on the market for 9 years and after the second year it beat the dollar. Do you really think these things are nothing but a coincidence? Jesus is trying to let you see that His Words are all true and soon He is coming to remove His Church. If you aren’t part of Christ’s Church you are bound to be tossed into the tribulation and face the Antichrist. Is this what you what? If not you need to ask Jesus to be your Savior today while the Church is still on Earth. If you are unsure how to be saved email me. If you live in the U.S. I will call you and lead you to Christ. If you live outside the U.S. you will have to email me and some how I will connect with you. As far as America’s decline is concerned here is a section from a report today that tells us Switzerland has over taken America as the world’s most competitive economy. I quote, “GENEVA (Reuters) – Switzerland knocked the United States off the position as the world's most competitive economy as the crash of the U.S. banking system left it more exposed to some long-standing weaknesses, a report said on Tuesday. The World Economic Forum's global competitiveness report 2009/2010 showed economies with a large focus on financial services such as the U.S., Britain or Iceland were the losers of the crisis. The U.S. as the world's largest economy lost last year's strong lead, slipping to number two for the first time since the introduction of the index in its current form in 2004.” How in the world is it possible that the tiny nation of Switzerland can out rank the mighty USA? It is a clear sign of the times, which is showing us America is falling away as a leading power. America can’t hold up much longer under the massive debt she has. At a time when the American government needs to cut her debt she is doing the opposite. Today’s news stated, “The Senate must move legislation to raise the federal debt limit beyond $12.1 trillion by mid-October, a move viewed as necessary despite protests about the record levels of red ink. The move will highlight the nation’s record debt, which has been central to Republican attacks against Democratic congressional leaders and President Barack Obama. The year’s deficit is expected to hit a record $1.6 trillion.” What is currently taking place in the American government has taken place to million of Americans already. What has happened to millions of American’s? Families across the U.S. have been living under massive debt. Each day these families have been contacted by collecting agencies until the families couldn’t go on any longer and were forced to claim they were bankrupt. America is on her last legs and the strain of debt is taking its toll. Nations around the world such as China are demanding to be paid back. The U.S. owes China billions, which she can not repay, and this debt keeps claiming” The day is coming, and hardly anyone is prepared for it, when America will have to also claim she is bankrupt! Why do you think nations around the world are seeking to replace the dollar? These nations know America can not hold up. This is what we know for sure. Bible prophecy is very clear that the revived Roman Empire is going to take the leading role in the last days. We know that in order for this last empire to begin to make headway in controlling the world we must witness a power shift. This power shift is taking place right now. This is as I said, one reasons why America is beginning to fall apart. Many of you may not even realize the plans are currently being drawn up that will help govern the world’s economy. Here is an example of one way we are seeing a one world government take form. I quote, ““Finance ministers and central bankers from the Group of 20 nations left weekend talks in London with a regulatory blueprint for a financial industry whose risk-taking triggered a global recession and required taxpayer-funded bailouts. The pledge to shore up the international financial system spurred European and Asian shares higher Monday. "The G-20 has shown once again that governments from around the world can come together to agree on the global governance the new global economy needs," U.K. Prime Minister Gordon Brown said. With the G-20 authorities vowing to sustain a nascent economic recovery, the U.S. and euro area found common ground on the push to revamp bank rules. The effort may still founder on trans-Atlantic divisions. The specifics are being written for the Sept. 24-25 summit in Pittsburgh to be chaired by President Obama. Finance chiefs agreed that elements of a global pay code should include forcing banks to "claw back" cash awards if earnings falter; tying compensation to long-term performance and base pay; and disclosing more on what they hand top earners, according to a Sept. 5 statement.” Step by step we are witnessing events pointing to the one world government, which will be headed up by the Antichrist. Prophecy Sign: Yesterday I covered the warning Paul gave us in 1 Thessalonians 5:3 where Paul told us that in the last days when they are calling for peace and safety that is when sudden destruction will come suddenly. I have been providing you with proof that this sudden destruction is about to take place. In yesterday’s post I also covered how this sudden destruction was coming. I pointed you to the war of Psalms 83 were we are given the exact names of the nations that are going to try to wipe is out. I have told people coming to my site over and over again that when the peace talks fail that will be the time in which the Arabs attack Israel. Next week the Americans are supposed to sit down and begin to try to put the peace talks back on track. However, Saudi Arabia has already thrown a stone at the peace talks. I quote, “Saudi officials have privately been highly critical of the U.S. approach -- even rejecting appeals from Obama when he visited Riyadh -- but Saud's decision to offer such a public critique, in Washington, raises the stakes for the administration. It could also be a form of public posturing designed to blunt the impact of future concessions by Saudi Arabia. Saud insisted that Saudi Arabia would not take any incremental steps in relation to Israel, saying the burden was on Israel to make good-faith gestures. "Today, Israel is trying to distract by shifting attention from the core issue -- an end to the occupation that began in '67 and the establishment of a Palestinian state -- to incidental issues such as academic concerns and civil aviation methods," he said. "This is not the way to peace. Saudi officials have refused to consider altering the peace initiative to suggest acceptance of land swaps to allow Israel to retain some settlements, though privately they say any peace deal acceptable to the Palestinians would be acceptable to Arabs. Saud appeared to acknowledge that when he said the negotiations should include "final-status issues, borders, Jerusalem, water, refugees and security." Why am I giving you news about Saudi Arabia? Because Saudi Arabia is one of the nations listed in Psalms 83 that will soon attack Israel. Notice what the Saudi’s are upset over? They wanted Israel to give back land lost in previous wars, (borders), and they want the city of Jerusalem to be given back to the PLO. What I am doing here is showing you why the Saudi’s are going to attack Israel. When it is clear that Israel is not going to give everything the Saudi’s want, they will join with the other nations in listed in Psalms 83 and attack Israel. So far every nation listed in Psalms 83 has also stated they want the same things as the Saudi’s want. Since Israel is never going to give up their holy city of Jerusalem, you can see why these nations will be forced to invade Israel. An Arab invasion on Israel will take place very soon because these nations will think that the combined armies will be able to recapture Jerusalem. Let me tell you who is going to win this war before it takes place? Israel is going to win. Many of you may not believe any of this is possible, to you I say, just wait and see. 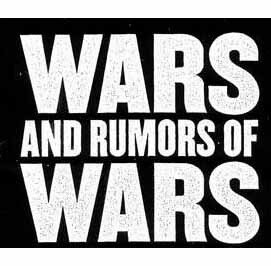 When you see this war take place you will remember what I told you. Everything you have learned here today was because Jesus wanted you to know the truth about these events even before they took place. He wants you to know these facts because He wants you in His Kingdom. He knows that once you see these warnings come to pass, you will understand that Jesus is the only Savior and you need to receive Him as your Lord. It is out of His love for you that He has given all of us this proof. One of the major hang-ups of the Middle East peace talks has to do with Israel’s building on what the Arabs see as Palestinian land. President Obama thinks that by demanding Israel stop building that he is going to win a peace agreement, when all he has done is drive a wedge into the U.S. Israeli friendship. Let me show you how Israel feels about Obama demands. I quote, “Hundreds of people, including ministers, MKs and Yesha Council heads attend symbolic groundbreaking ceremony for 'Mevaseret Adumim' neighborhood in disputed area outside Jerusalem. 'We won't be the world's sucker anymore,' Deputy Minister Porush says, 'This is our answer to international pressure on settlements' “ This report went on to say, “"The State of Israel cannot find itself in an inferior position again amid the disgraceful and unjust calls to freeze settlement construction," Porush continued to say. "After Israel made all those foolish concessions on the heels of the Oslo Accords, we mustn't make any more unilateral sacrifices and continue to be the world's sucker amid Hamas' terror. "It cannot be that the US will pressure Israel in order to improve its relations with the Arabs. This will jeopardize our security," he said.” What we have here are two trains heading down the same track heading for a head on collision. This collision will result in the fulfillment of the Psalms 83 war. Prophecy Sign: In the book of Luke chapter 21 verse 11 Jesus told us that in the last days we would see famines. Jesus also told us this sign and others like it are all going to take shape just like a woman who is in labor. In Mark 13:8 Jesus again warns us the last days signs would be as birth pains. In my book I present to you a time line of events over the years. I show you how these birth pains Jesus warned us about are taking place. Over the past few years famines has become a major problem and on September 6, 2009 an “Official UN Report” was released that gave us information concerning the global economic crisis and how it is affecting the price of food, which has caused famines. The section I am quoting from is found of page 47 of the UN report and it stated, “According to estimates of the Food and Agriculture Organization of the United Nations (FAO), the combination of the high food prices and global economic crisis has caused the number of hungry people in the world to soar by 100 million, resulting in more than one billion hungry people this year (FAO, 2009a). In 2009, food emergencies persist in 31 countries (FA), 2009b), and between 109 million and 126 million people may have fallen below the poverty line since 2006 due to higher prices.” If you read that report you will also find on page 47 that the price of wheat had hit a record high. The price has fallen back some but in the very near future these prices are going to skyrocket again. Why? If you read Revelation chapter 6:6 you will read that Jesus warned the price of wheat was going to be so high that during the tribulation a person will have to work all day long for a very small amount of wheat or barley. After working all day long a person will have enough to buy one small meal for his or her self. The birth pain signs concerning the price of food have already begun and they are getting much worse. In Revelation 7: 15-16 we see Jesus warning us that the people living during the tribulation will have starved and had become thirsty. Is you don’t want to believe the Word of God all you have to do is wait and watch how high the price of food climbs over the next year. People around the world are already finding is very hard to buy food and the poor nations are already starving. How can you escape all these things that are about to fall on this Earth? I quote Christ. “Watch you therefore, and pray always, that you may be accounted worthy to escape all these things that shall come to pass. And to stand before the Son of man” Luke 21:36. You way out is via Jesus Christ as your Lord and Savior. Christ said, I am the way and the truth and the life. No one come to the Father except through me” John 14:6. If you think all this is a joke, you are about to be very shocked when you see the Lord remove His Church from this Earth. If you are not taken to Christ you will be left behind to face the Antichrist and his One World Government. Is that what you want? If not receive Jesus today and start praying that you to will be accounted worthy to escapes all these things. Since Jesus asked us to watch for earthquakes in many places, I am posting the latest news on just the quakes that hit 5.0 and above. These are good size quakes. As you can see from the chart below so far today there have been four of these quakes. One reason why the Lord asked us to watch for this sign is that this sign would appear when all the rest of the signs also appeared at the same time. Just about everything we were told to watch for all at the same time is currently taking place, which is a message to the Church to prepare to go home with Christ. I pray you are getting ready to meet our Savior?